I am always looking for new easy appetizers for party foods, particularly things that can easily be served on a tooth pick and eaten while standing. 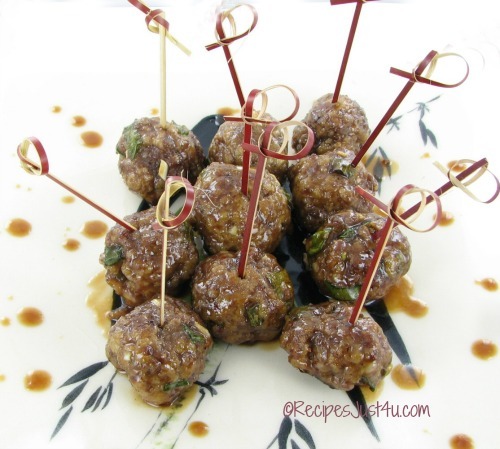 These saucy Asian Meatballs make great party appetizers and your guests will love them. One of the best things about these meatballs is that they are ready in less then 30 minutes. These meatballs have an amazing flavor. Using both ground pork and ground beef keeps them tender and gives a nice richness to them. The dipping sauce is so tasty and has just a hint of sweetness from the honey that sets off the hoison garlic marinade really well. (affiliate link) They are easy to make ahead of time, which is great for entertaining. Just bake them the day before and then reheat in the oven or microwave and then toss them with the reheated sauce. 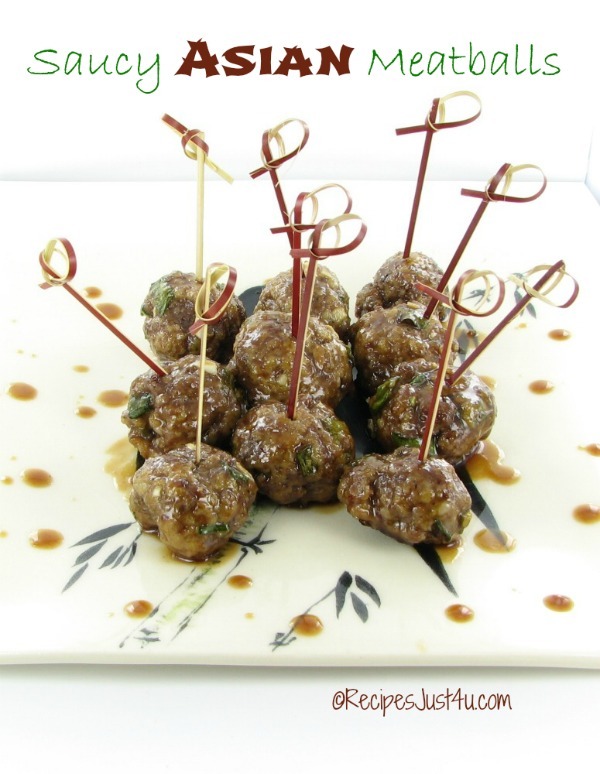 The meatballs have a delightfully flavorful taste and the sauce gives them an extra boost. Just skewer them for easy serving. Your guests will think you spent all day making them. Mix together all of the meatball ingredients in a large bowl. Using your hands, shape the mixture into 1-inch balls. Place them on baking sheet and bake for 10-12 minutes. (I like to use my silicone baking mat to cook them on. 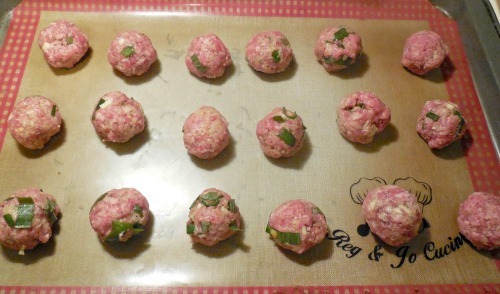 Meatballs are done when they are no longer pink inside. Combine all of the sauce ingredients in a bowl. Pour over the warm meatballs and gently stir until covered. Skewer them with toothpicks and serve.